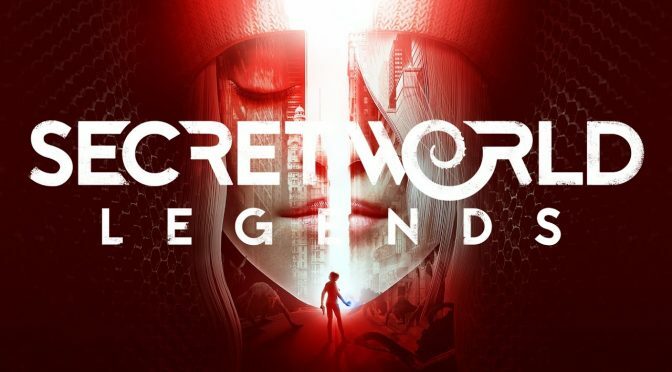 The Secret World – Legends? I’ve been playing the Secret World on and off again since launch in 2012 and it is one of my all time favourite games. For many reasons actually. The story line is good, and I mean really good! The setting is unique and the lore can keep you busy for ages. Add to that unique game mechanics and quest approaches and total freedom for your character and you have a game that simply has no comparison. The Secret World is an MMO that is not very heavy on the first M. You normally never meet “masses” of other players – I would call that a good thing but some mmo-players might not appreciate it. Playing the game always felt more like an action rpg with a shared world. Something that the publisher apparently also noticed. The relaunch of the game calls it a “shared world action rpg” outright. It has multiplayer and group features, but they are not key to the game, your own personal story progress is. The game has a modern setting with a “slight” tweak: The premise is basically “what if every secret, every myth, every conspiracy and every legend is actually true?” Everything is true, everything is happening – at the same time. You can choose between three different secret society factions, the old fashioned Templar, the modern Illuminati or the chaos theorist Dragon as you embark on your adventure through New England, Egypt, Transylvania and Tokyo, fighting everything from mummies, ghosts, zombies, fairy tale creatures in haunted broken down amusement parks over fiery creatures from actual hell to Cthulhu. The game came with a completely free skill system that was not bound by classes and let you construct your own class basically. And elaborate crafting system and no armour (instead you equip talismans that better your stats) so you had complete freedom on how to build your character and how to have them look. Didn’t like your visuals? Travel to London and go shopping for a new shirt or new boots. Or visit the salon or even the plastic surgeon. The incredibly freedom of character building came at a price though: It quickly became fairly complicated where to invest your points in. And the fact that there were no levels but other indicators of progression made it incredibly difficult for new players to find their footing and to figure the system out. Additionally it happened quite easily that you found yourself in areas that were far too hard to play yet. All this is getting an overhaul now. TSW Legends will have the same content than TSW had, but will see changes to combat (making it more intuitive and fluent) and skill progression (a little less open and more linear, especially in the beginning so you get to a viable character build easier). You chose a starting class now that will determine your starting two weapons – while you can add the other skill trees and weapons later on in the game. The character models have gotten a graphics update and many more small changes are announced. The Secret World Legends will be free to play for everyone. Boni from the old TSW will carry over somewhat into the new system – characters won’t. The new levelling system is too different to be compatible and everyone will start over fresh.